Another Day, Another Animal T-shirt! 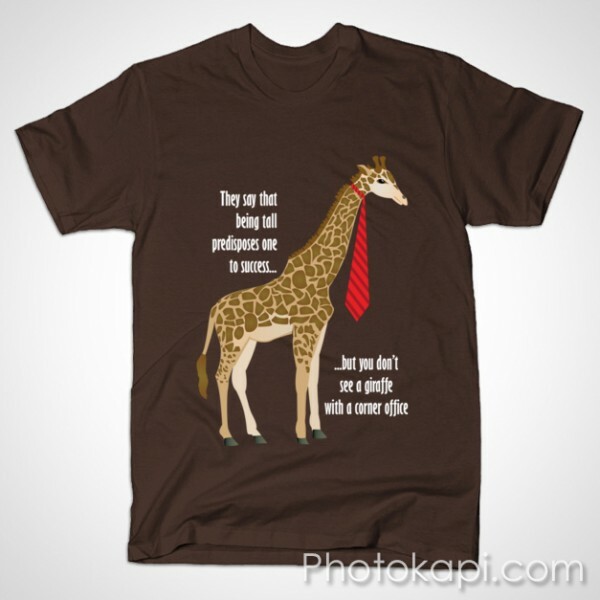 Giraffe’s are snappy dressers; everyone knows that. Jerry the Giraffe here mixes stripes with spots, but he makes it work. He’s tall. Yet, somehow he always gets looked over for that promotion. Who knows why? It’s a really conundrum, though his boss is a warthog, so he’s probably just jealous of that long neck.